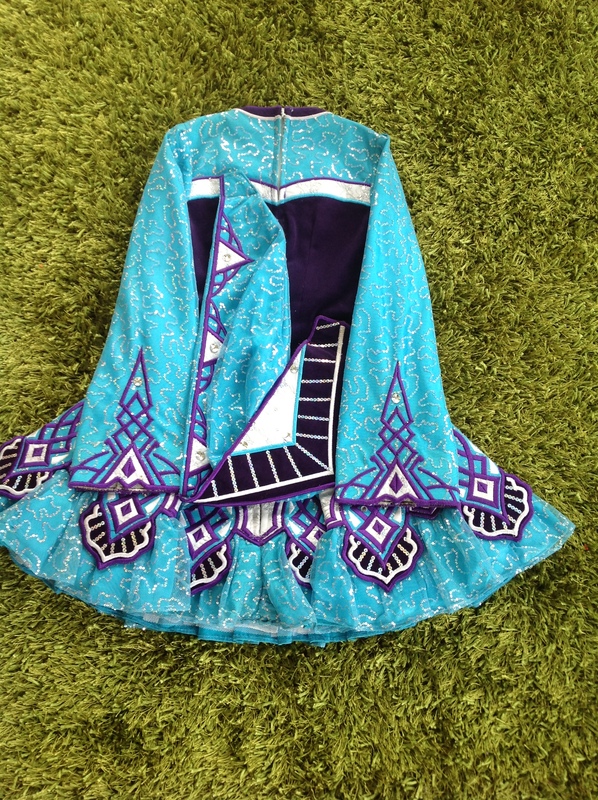 Stunning turquoise and purple velvet Elevation Design dress. Numerous large swarovski diamonds. 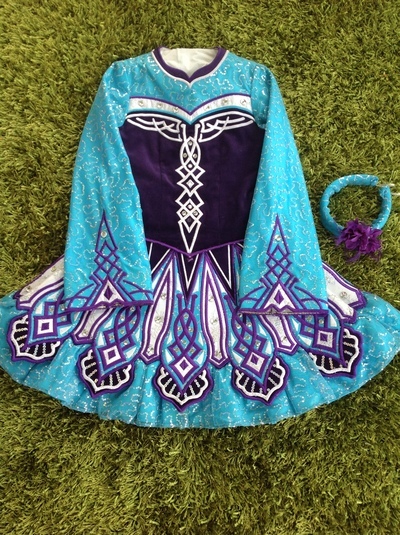 Comes with turquoise alice hairband that is the same material as the turquoise on the dress. 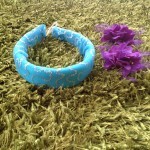 Two purple flowers also come with it to compliment the dress. 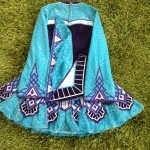 White/silver bloomers may be worn underneath. Looks fabulous both on and off stage. Definitely sure to get notice. Asking Price: £495. Shipping costs are not included in the asking price. Sale is final.